April Freeman passed away suddenly on Sunday, September 23, 2018. 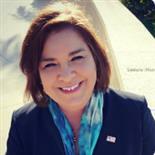 She will remain on the ballot and a replacement candidate will be identified by district Democratic chairs. The Division of Elections will send notices to district 17 voters stating that a vote for Ms. Freeman will be counted for the new designated candidate. Steube: Only to save the life of the mother. Steube: Have a strong National Defense and military, impose very strict sanctions against terrorist states and terrorist harboring states. End chain migration and end the visa lottery system. Steube: Distrust in power and greed and preventing a tyrannical government or one separate power to overrule the others and take control. Steube: Jesus Christ is my lord and savior. I attend Sarasota Baptist Church and pray everyday that my actions and words would honor Christ and be an example of servant leadership. 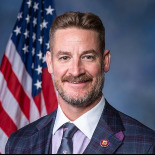 Steube: I have 8 years of voting record to prove my conservative credentials, please check www.myfloridahouse.gov and www.flsenate.gov for the bills I have filed and my conservative voting record. Steube: Lower taxes, push regulation of business to the states and promote free market policies. Steube: Lower taxes on business and cut burdensome regulations that are a burden to businesses trying to succeed.